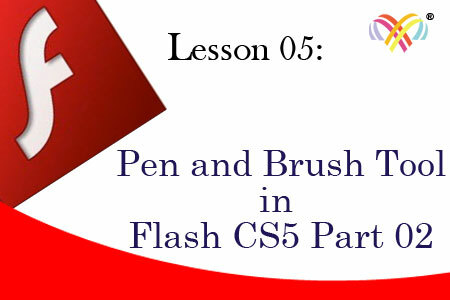 Hello Friends in this Video tutorial we going learn about the pen tool in Flash. Pen tool use to create complex shapes which need exact smooth path curve. Pen tool gives Brazier handles to draw smooth lines. We can add and subtract the anchor points from the curve to provide the amount detail in the curves. We also learn about the Brush tool. In Brush tool we learn some useful options like Paint Behind, Paint Selection etc.